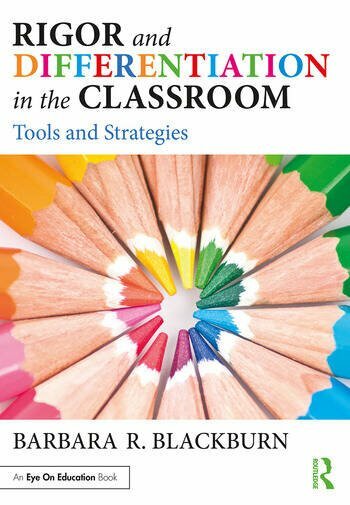 Each chapter includes practical tools and activities that you can use immediately to bring all students to higher levels of achievement. Many of these tools are available as eResources and can be downloaded for free from the book’s product page: www.routledge.com/9780815394471. Barbara R. Blackburn, a Top 30 Global Guru in Education, has taught early childhood, elementary, middle, and high school students and has served as an educational consultant for three publishing companies. In addition to speaking at international, national, and state conferences, she also regularly presents workshops for teachers and administrators in elementary, middle, and high schools. She is the author of numerous books, including the bestseller Rigor Is Not a Four-Letter Word.